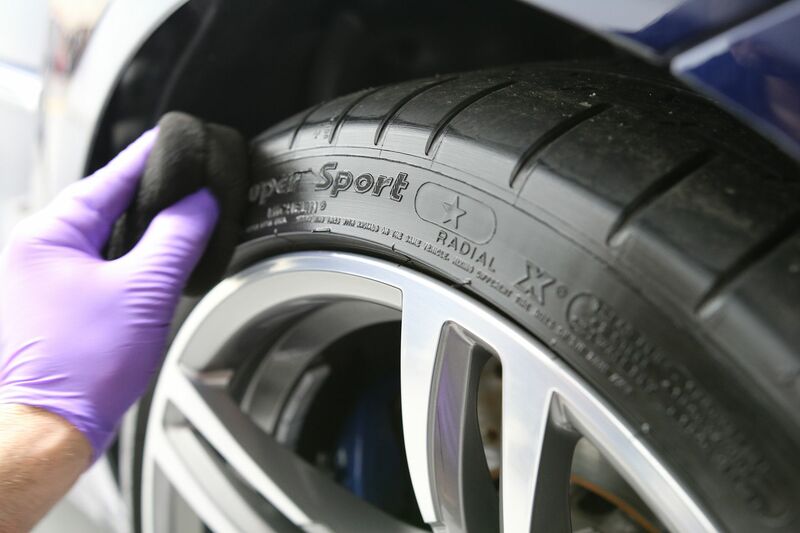 Cleaning and dressing your tires. Over the years I have gotten asked how do I dress tires. This tire dressing is horrible. Why can't I get a good application or why are they brown after I dress them. I have found after cleaning the wheels and tires, we are usually left with tires that are still dirty, tires that can use a bit more cleaning from weeks maybe even months of baked on cake dust. 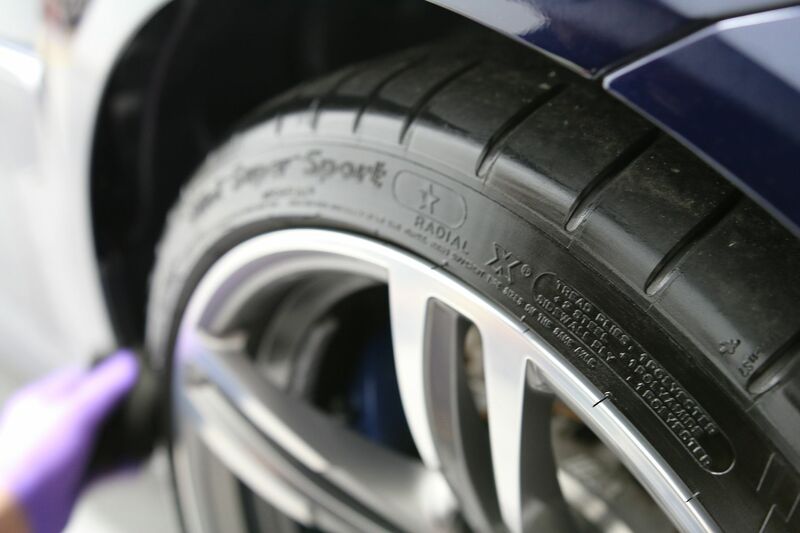 We tend not to neglect or wheels but are we giving our tires a real cleaning? Take a look at a our quick tip below. 1. Here we have a brand new BMW M3 with less than 200 miles on it. The wheels and tires don't look bad after they were cleaned with Sonax Full Effect Wheel Cleaner and Adam's All Purpose Cleaner. 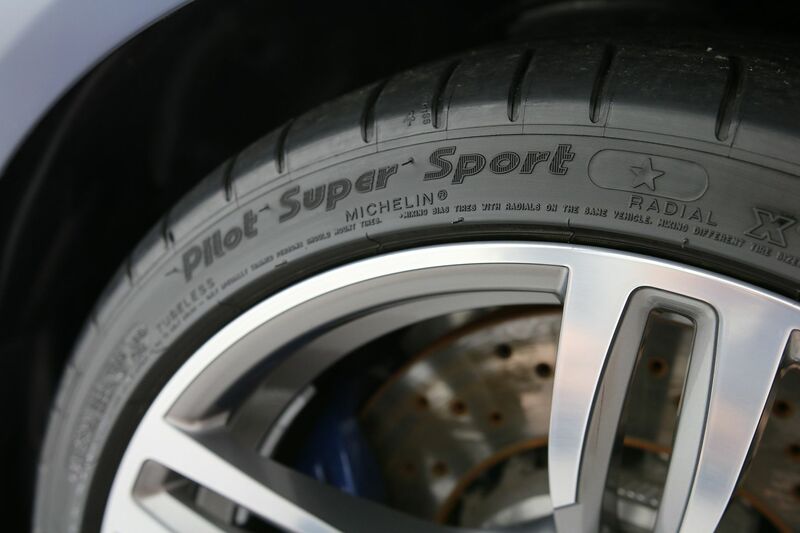 However going the extra step will revel it to be an essential step to clean tires. 2. 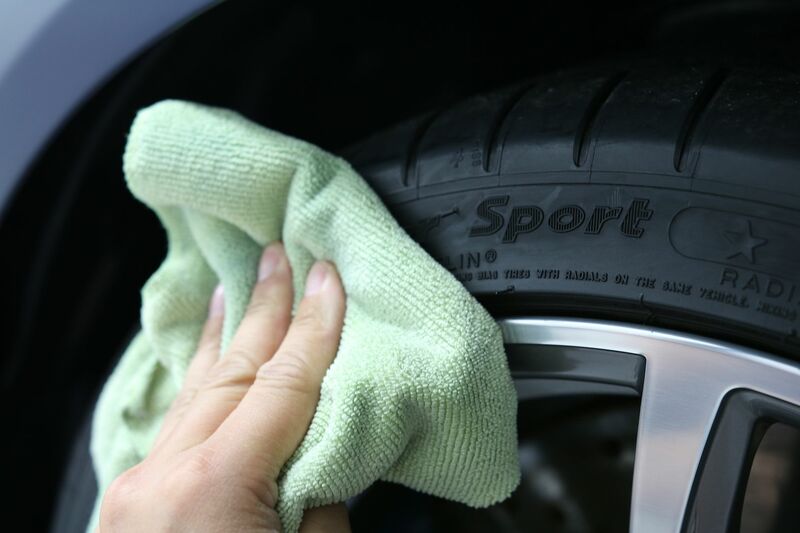 Use a microfiber towel you can sacrifice, as you will not want to keep it after all 4 tires are cleaned up. Spray some Stoner's Tarminator on the towel and with some firm pressure scrub or wipe the tire. Spray more Tarminator as needed while flipping the towel to a cleaner side as it gets caked up. 3. 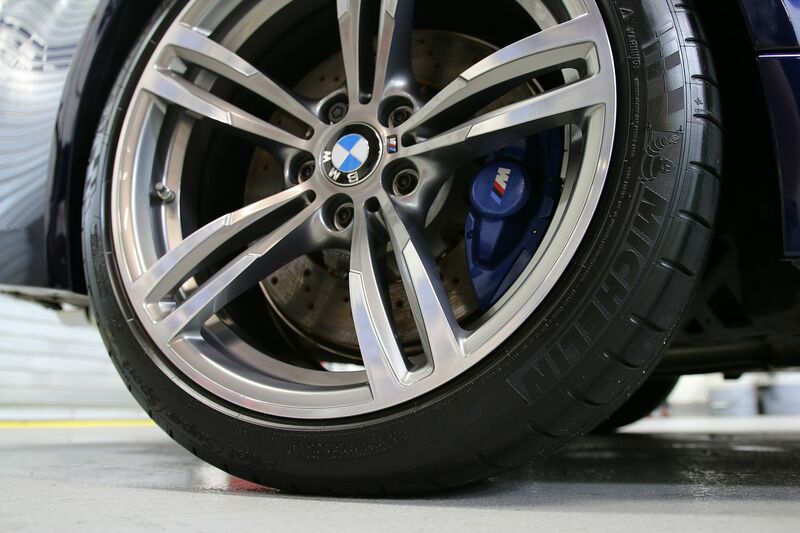 After the tire is cleaned up, you will see that the tires are of a nice matte finish, if you like the look of a factory fresh tire you have now achieved the finish you desire. Many of our customers who track their cars love this look. 4. 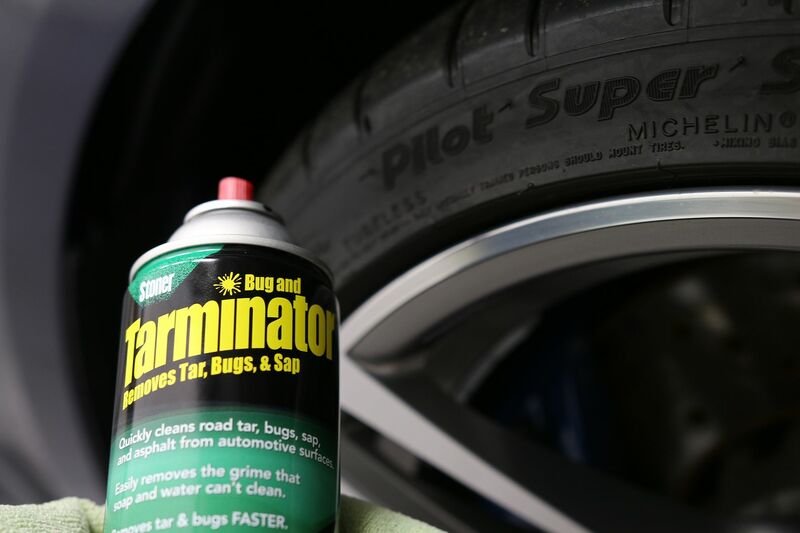 If you want to add a nice pop to the tire use your favorite tire dressing. 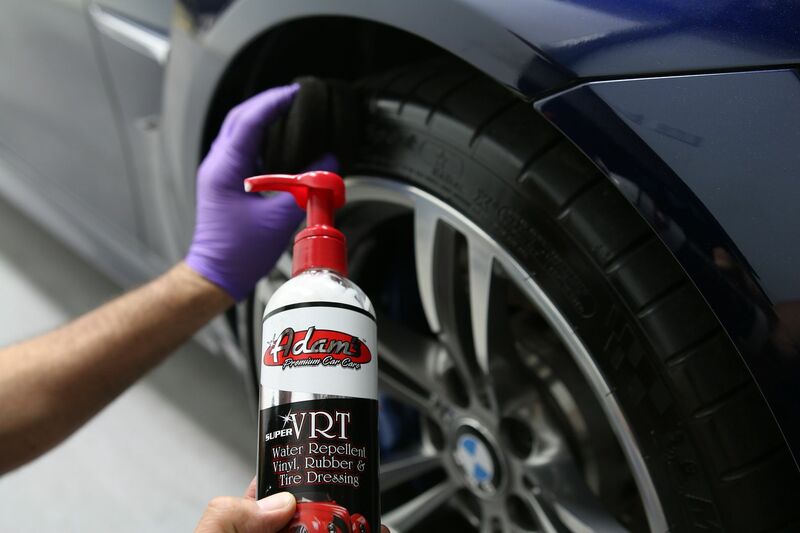 Here we use the Adam's Hex Grip Pro Tire Applicator and Adam's Super VRT to add that nice finish to a freshly detailed M3. Here we have our final results. A nice clean dressed up tire, free of any browning and brake dust. 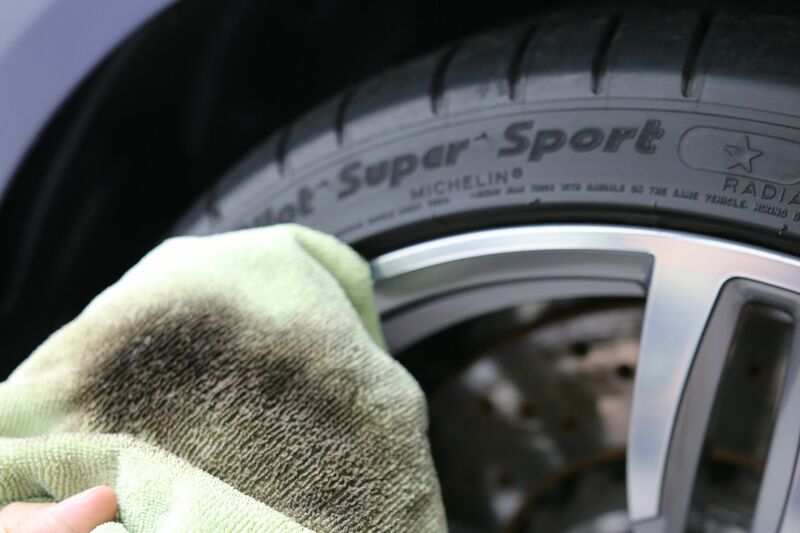 The results not only look great but a properly cleaned and dressed tire will prevent from tire dressing sling as well.